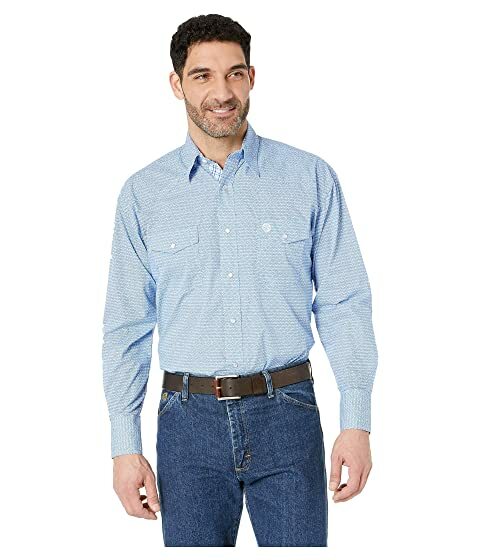 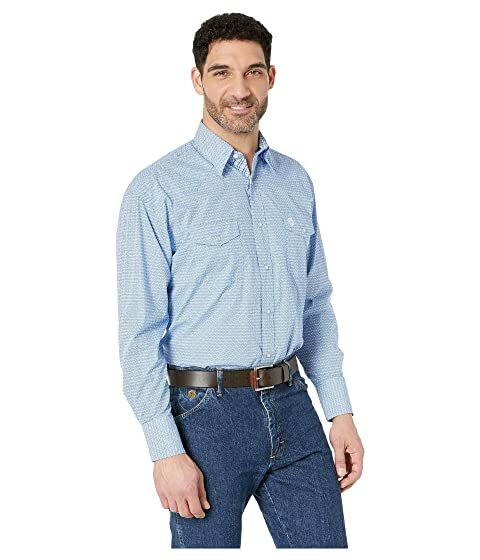 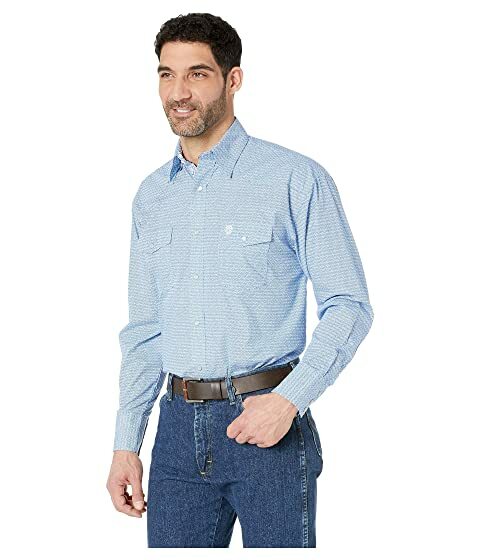 Write some powerful love letters in the effortless style of this Wrangler® George Strait Long Sleeve Troubador Print Snap Western shirt. 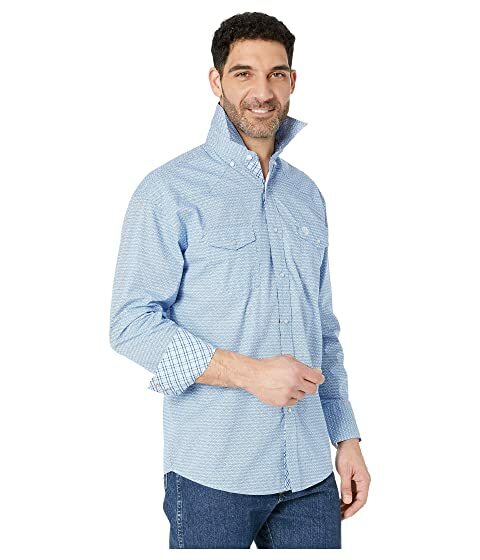 Complementing stripe lining along placket, neck tape, and cuffs. 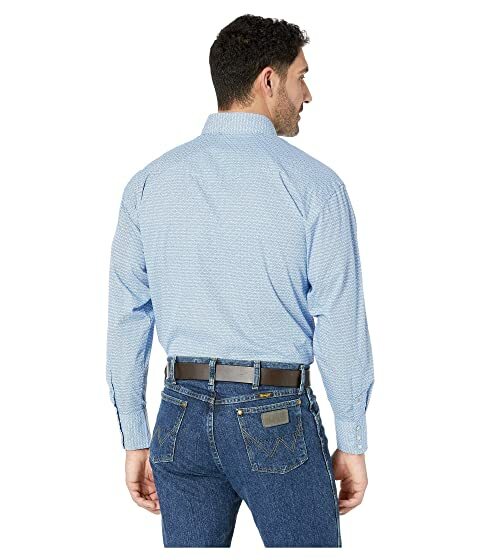 Dual button-snap pockets at the chest.